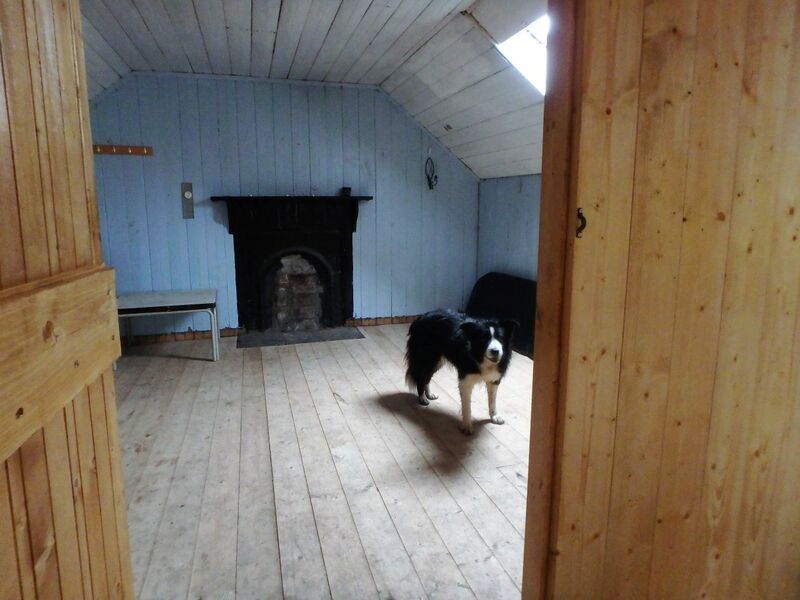 On our 2017 Scottish trip, Chris and I (plus Border Collie ‘Mist’) had visited a couple of bothies in the course of our mountain walking (see post #223). I should add at this point that Chris has no intention of spending the night in a bothy, though the dog is certainly up for it and has spent several bothy nights out at Greg’s Hut in the Pennines (see post #141), but sometimes a walk out to a bothy gives a purpose to a day which otherwise might have been missing. 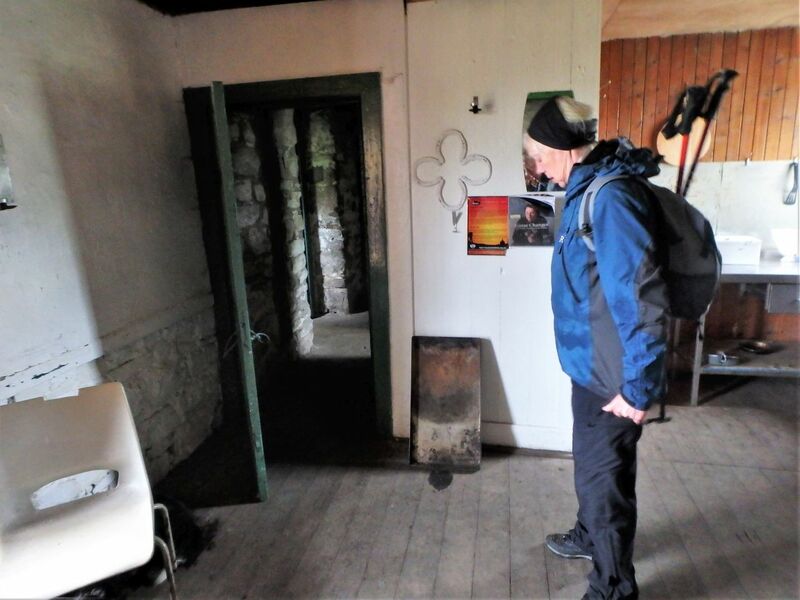 Which is why, in May 2018, we were setting out to Invermallie bothy. 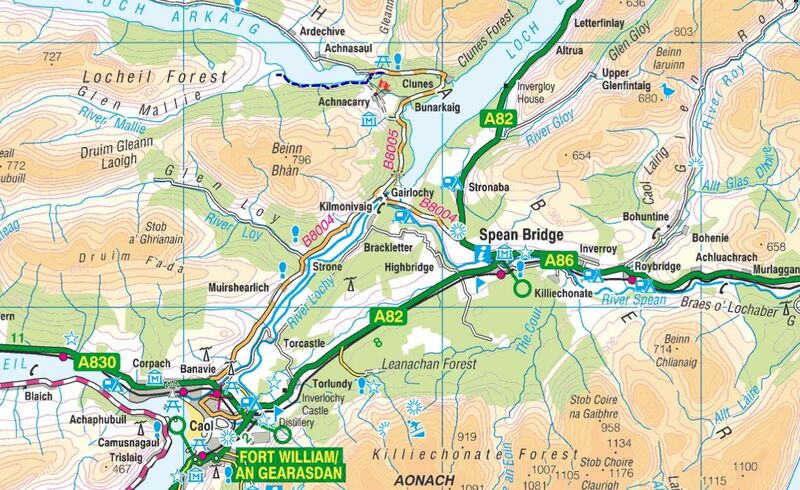 At one level, Invermallie can’t be classed as remote as it’s 5 kms from the nearest road for the shortest walk in. 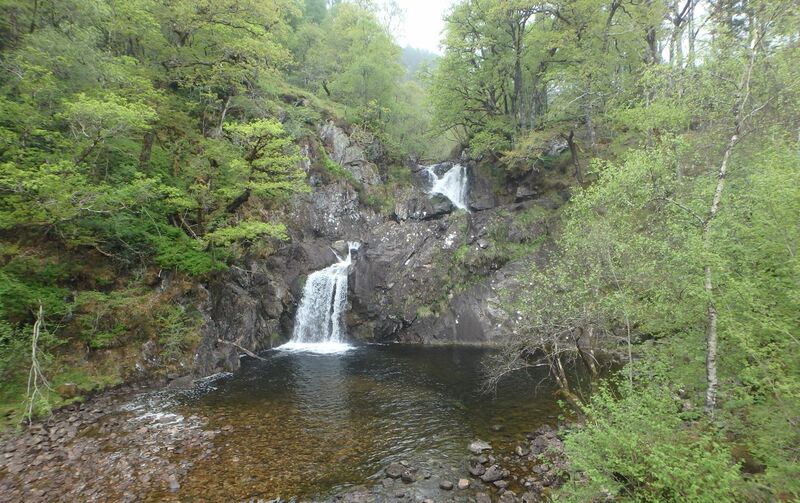 However, it sits on the edge of the ‘Rough Bounds of Knoydart’, one of the UK’s last wilderness areas. I didn’t ask Chris if she fancied a 2-3 day approach walk through Knoydart to visit the bothy – some questions just don’t have to be asked. So, it was the 10 km round trip from the roadhead then. 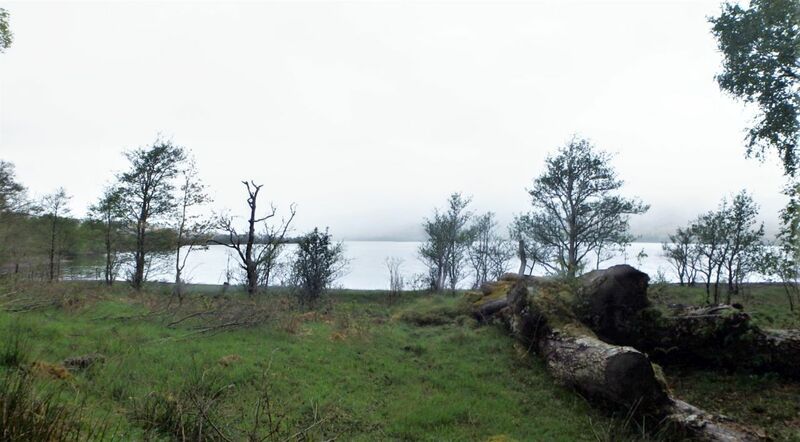 View over Loch Arkaig – still misty! 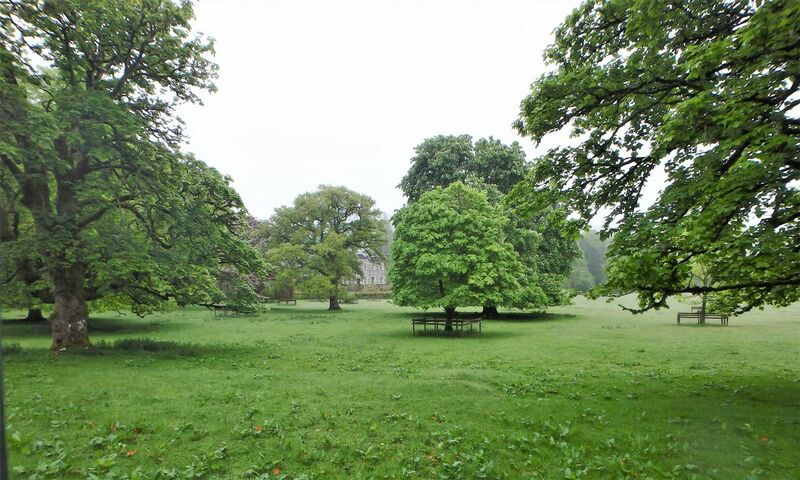 We had parked the camper up overnight near Achnacarry Castle, and woke to a misty, moisty morning. It’s a well known saying in the outdoor community that there’s no such thing as bad weather, only the wrong clothing. 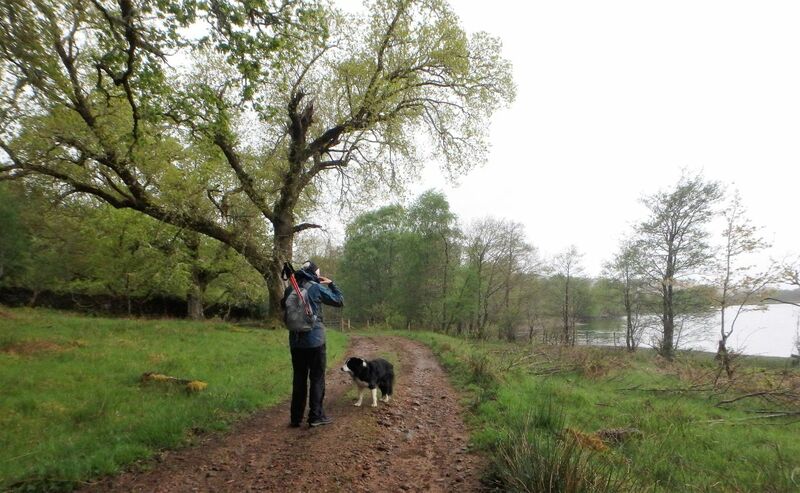 With a choice of waterproof jackets to go at we didn’t have that excuse, and ‘Mist’ was bouncing off the walls, keen to be setting out on her daily walk. 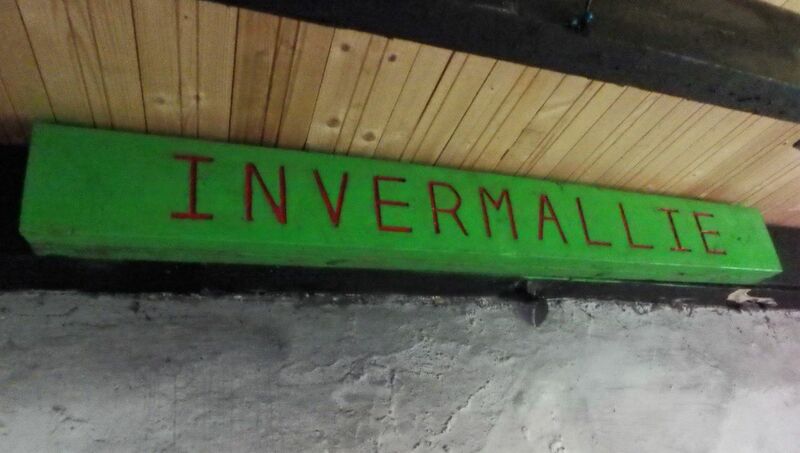 It was time to set off to Invermallie. 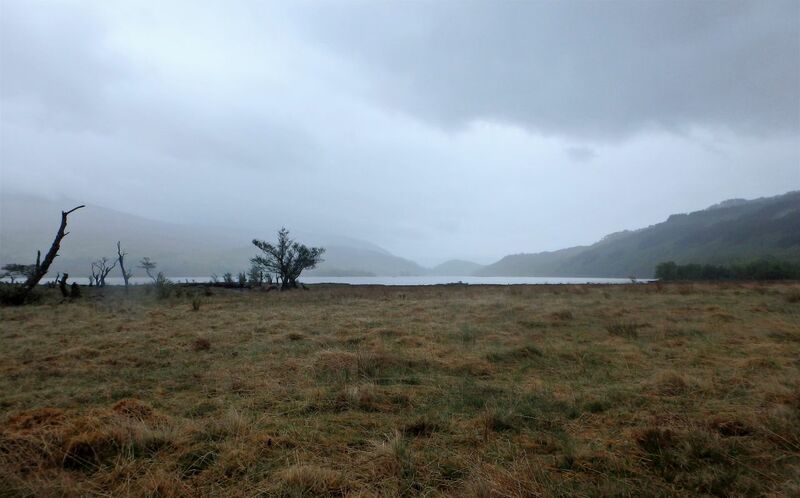 The walk out to Invermallie alongside Loch Arkaig was straightforward enough, if a little bit damp. A good track makes the route easy enough for the ‘navigationally challenged’, though I noted afterwards that the final section of the route in can sometimes be well underwater. 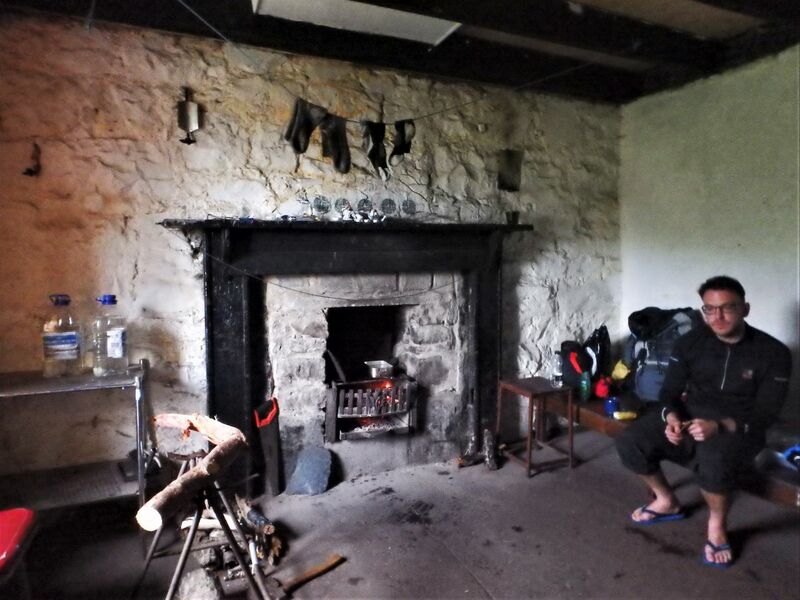 In the event, we arrived at the bothy with dry feet. 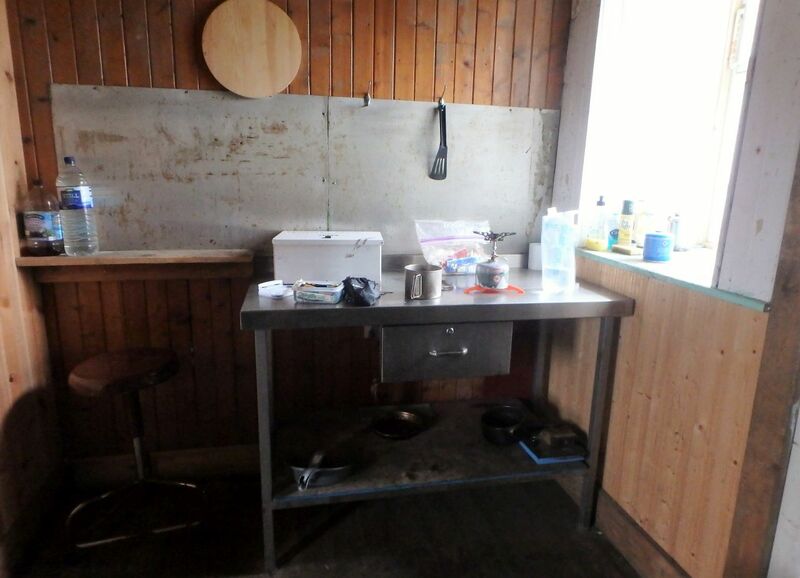 Blog regulars will have read some of my other posts about bothy visits. 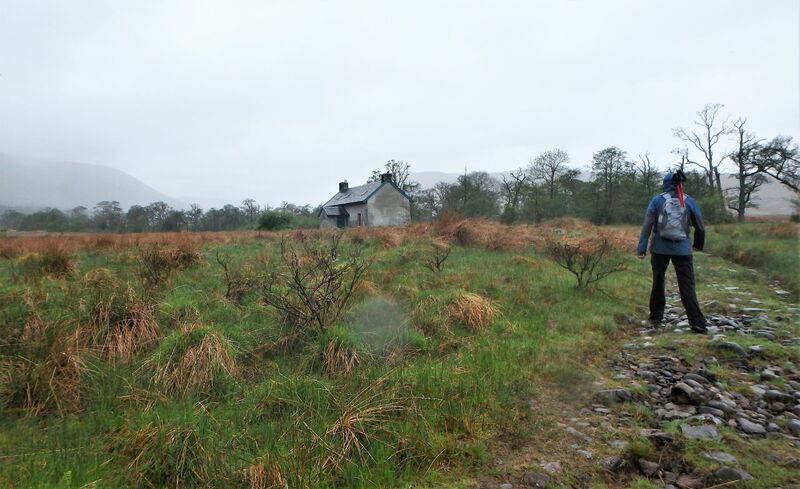 The bothies are often disused workers cottages, usually in wild and remote areas – maintained on behalf of the owners by the Mountain Bothies Association, they are open for use ‘free of charge’ by anyone travelling through the mountains of the UK. 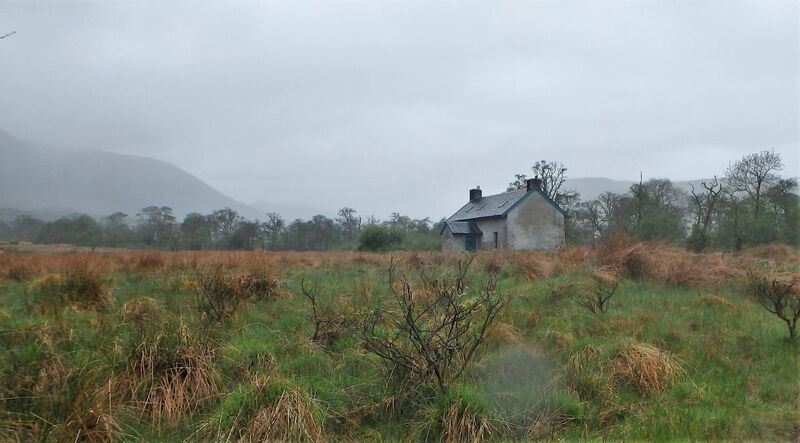 The availability of the bothies, especially in Scotland, allows long trips through wilderness areas without having to carry huge amounts of camping gear – what’s not to like! 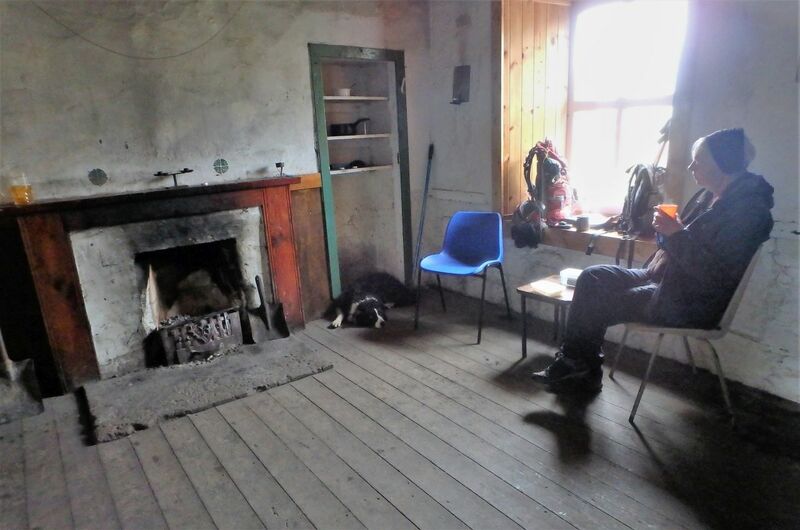 One of the main downstairs rooms at Invermallie was occupied by a couple of young guys who had walked in the long way and were in the process of drying out their gear and getting a meal. We had a tour of the spacious upstairs area before getting a brew on and having lunch in the other downstairs room. 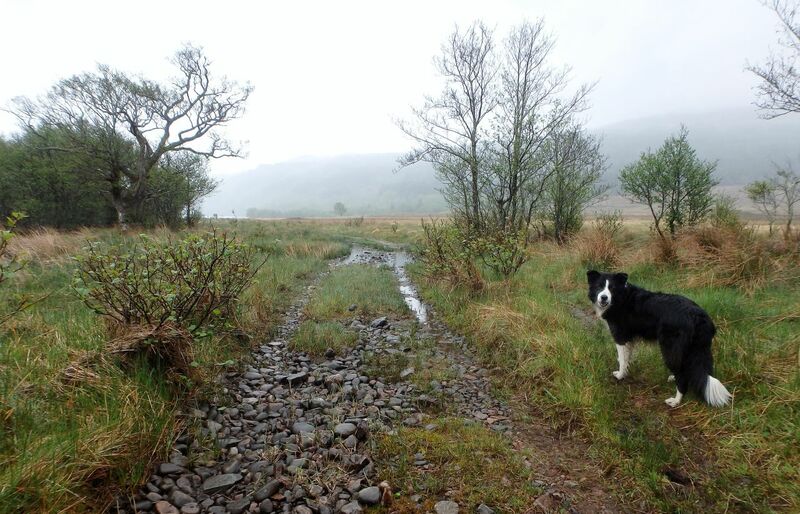 Then it was time for a return through the misty wood to the parking area at Achnacarry. 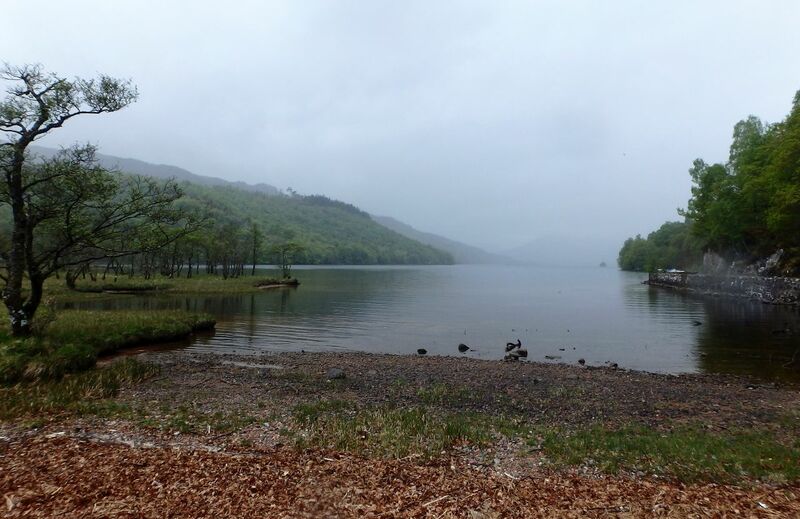 We were due to head south the next day, but a visit to Achnacarry was part of the plan before setting off. 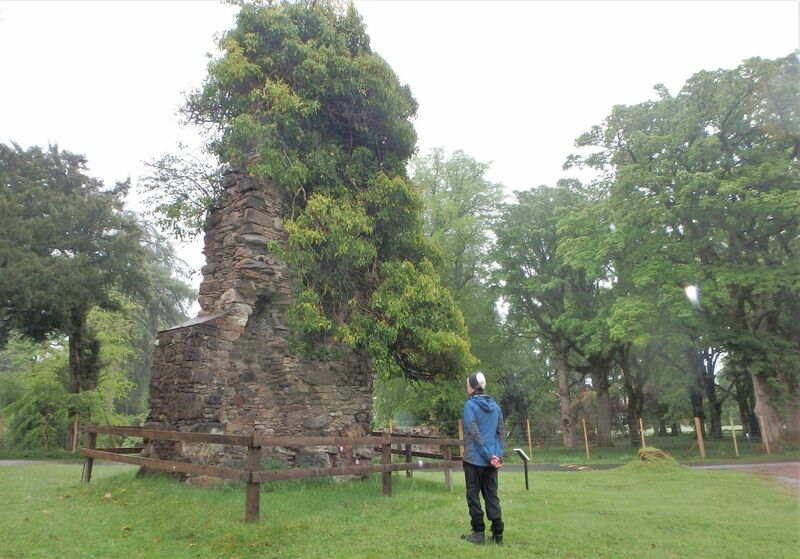 The original lodge at Achnacarry was built in the 1650’s but was burned to the ground by English troops after the failed 1745 rebellion, and all that remains now is an ivy-covered chimney. 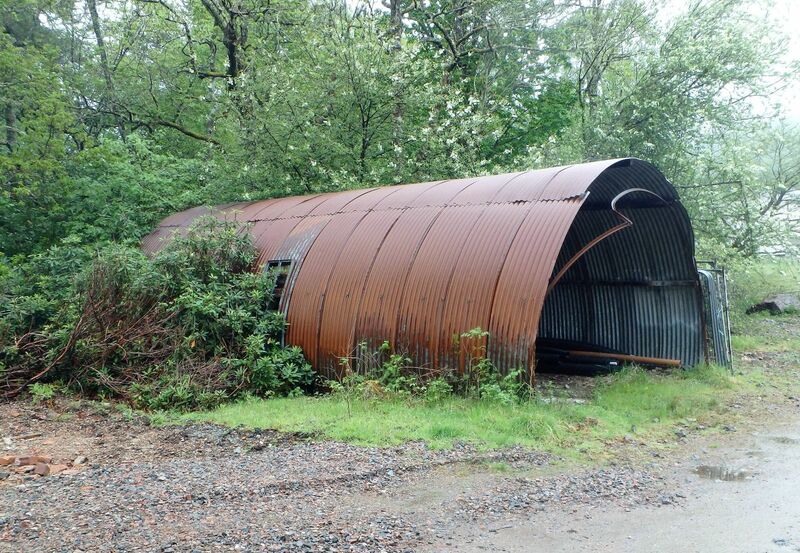 ‘New Achnacarry’ was built in the early 1800’s but is out of bounds to the peasantry such as us, but during WW2 it became a secret military base, and the birthplace of the commandos. 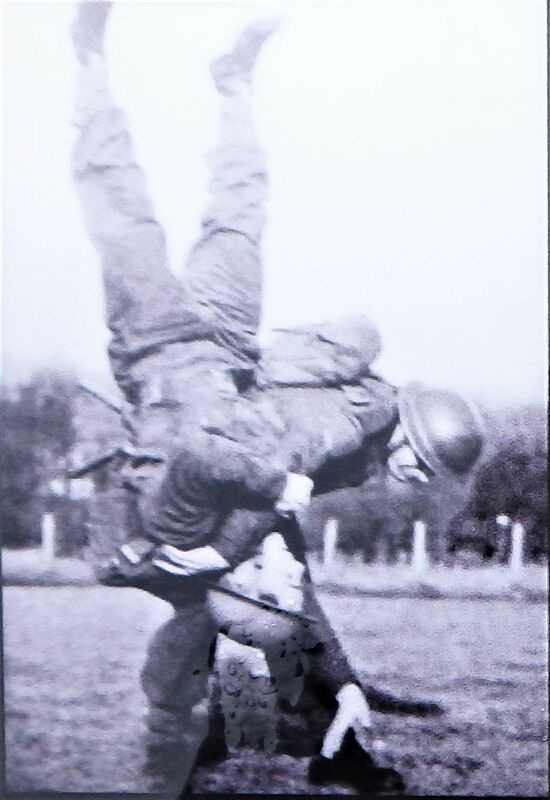 The history of the WW2 Commandos would take much longer than a blog post to tell. 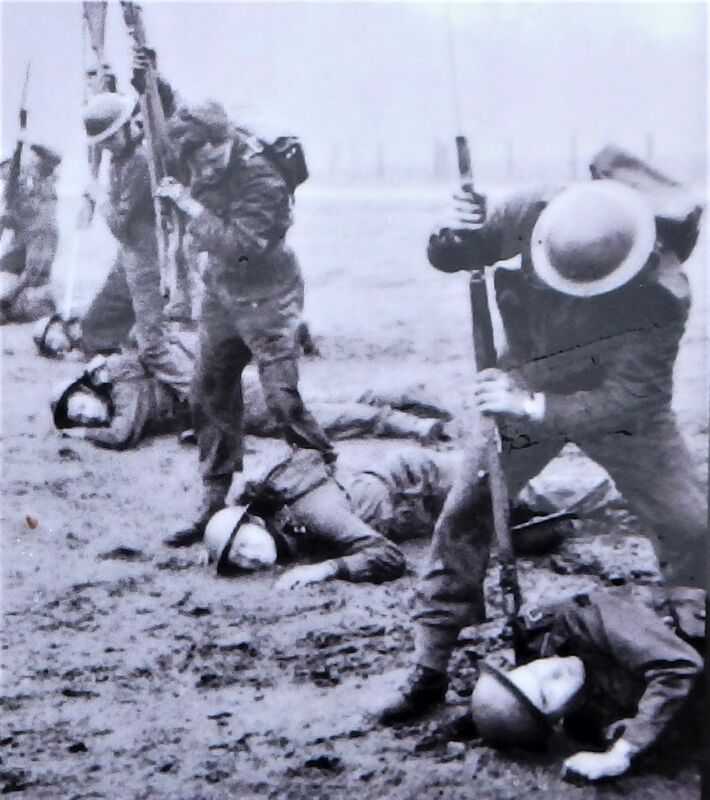 In brief, the commandos were resourceful and well-trained troops, capable of not only surviving in harsh conditions but also able to fight the enemy afterwards – they were said to be ‘fit to fight and fighting fit’. 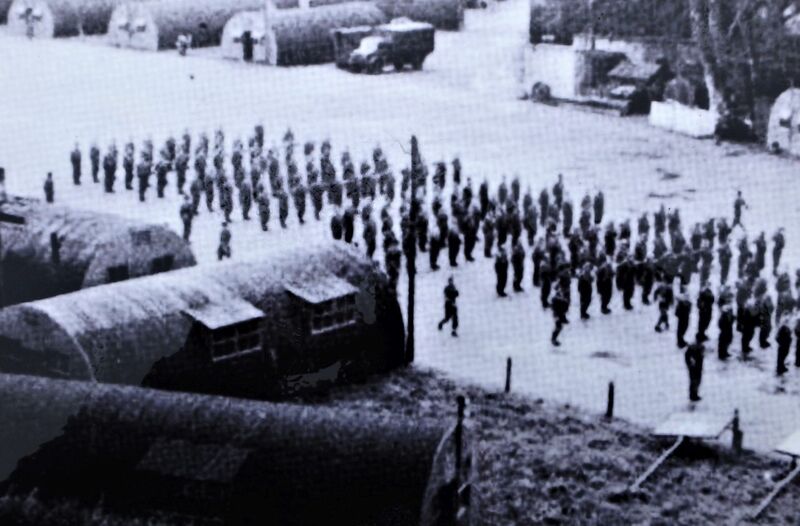 The training, mostly at Achnacarry, was tough and arduous and an ascent of Ben Nevis, 18 miles away, was often the final challenge of the training. 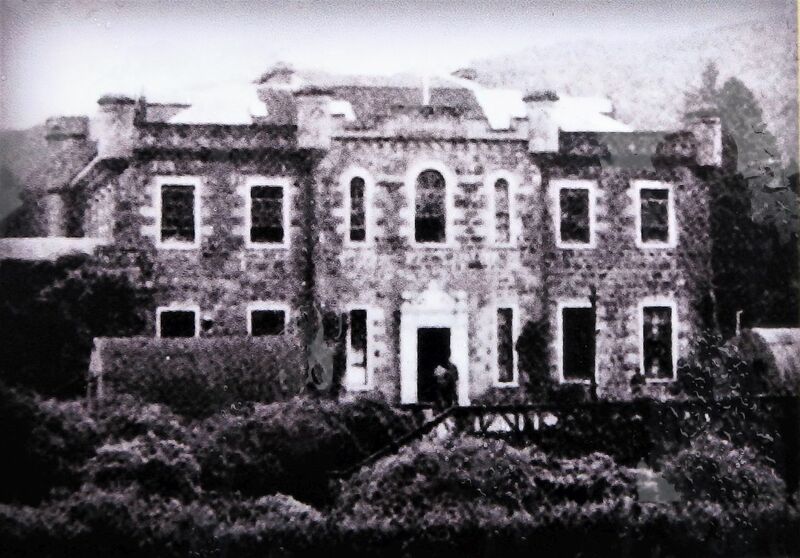 The visit had special meaning for me as I joined the Royal Marines Commandos in 1974. 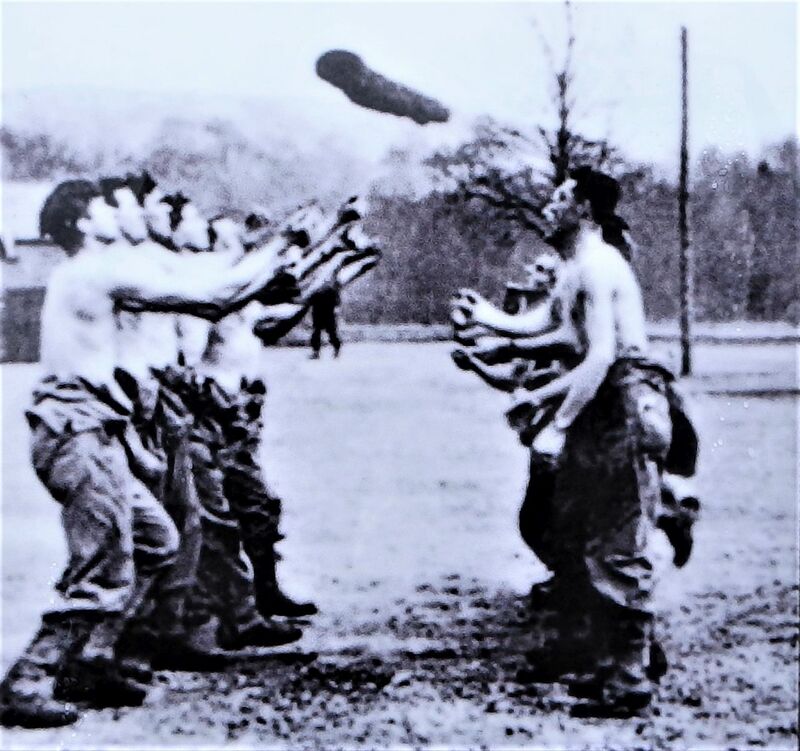 Our training was similar to that of the original commandos, with an emphasis on agility and physical training, long ‘speed marches’ and the development of the commando qualities of “courage, determination, resourcefulness and cheerfulness in the face of adversity”. 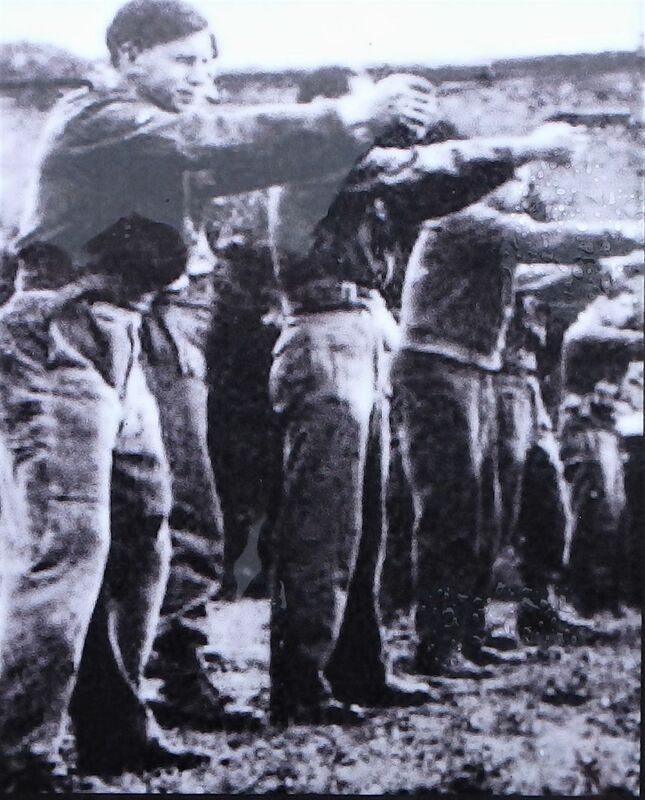 The training was hard, but we had the example of the wartime commandos to draw on – a fine example indeed! Text and images © Paul Shorrock except the B/W images, copyright unknown. This entry was posted in 1. Scotland, Bothy days and tagged Border Collie, bothy, Commandos, hillwalking, mountains, photography, Royal Marines, Scottish Highlands. Bookmark the permalink. 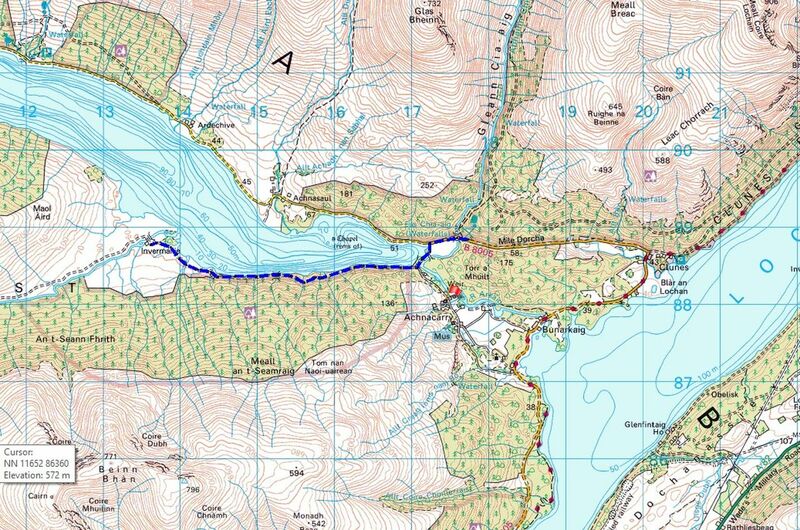 The height gain is about 80 metres over 5kms, but the bothy is very near to the same level as the loch, so that 80 metres is all in ‘ups and downs’ – none are particularly steep or long and the track surface isn’t too rough, so I reckon it’s cyclable. Certainly no worse that most of your Munro trips that you used a bike on.